Start your own online stock market trading through us with different reputed stock broker. Seamless, secure and integrated 3-in-1 trading platform. our 3-in-1 online trading platform links your banking, trading and de-mat accounts, ensuring unmatched convenience for customers. Wheat Production in 2015 was 100 million tons in India and worldwide it was 800 million tons. At current market rate of Rs. 16, 000/- per ton, the business volume in India alone is Rs. 1600 billion or 1.6 L crore. Indian Economy size is 120 L crore and wheat alone is contributing 1.33% to Indian GDP. - Up and downs calls of Commodity. - Tips on tha basis of international movement of prices. 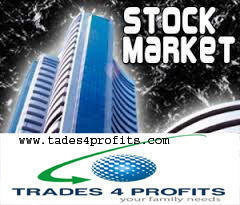 - Recommendations for trading in Gold & Silver. - Recommended capital- Rs 50000. - We will recommend 1-2 tips daily. Research is India's one of the best stock advisory who caters & delivers best stock recommendation in Commodity Market, MCX and NCDEX Market We give the most reliable advices for letting your money to flow in right direction. Having many years of experience even before establishing the company in the Agricultural commodity market, we can bring and supply the quality products including Rice, Sugar, Wheat, Corn, Soybean, Vegetable oils and Urea. In 2003 the government approved the electronic commodity future trading and which gave rise to three exchanges in India NMCE, NCDEX & MCX. With the establishment of these exchanges the commodity markets in India evolved and started getting good volumes. A commodity market or equity market is a public entity ( a loose network of economic transactions, not a physical facility or discrete entity) for the trading of company stock ( shares) and derivatives at an agreed price; these are securities listed on a stock exchange as well as those only traded privately. PCPL provides end-to-end advice for all the commodities to all our prestigious individual investors. Privileged customers also get exclusive & customized advice from our research department on a regular basis.